This is utilising the tides caused by the gravitational pull from the Moon. 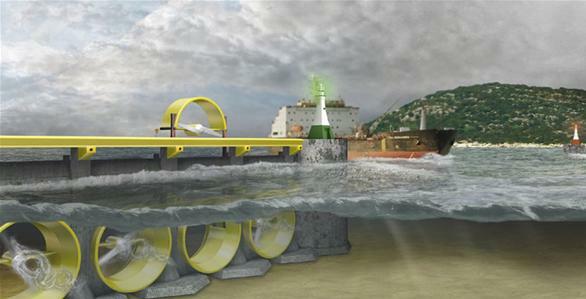 Tidal energy is a type of hydropower that is able to convert the energy from the tides into energy such as electricity. The way that it is collected is that when the tide is high, the water can be trapped, let out in ebbs passing through a turbine to generate electricity. There are three main categories that, with the first one making use of the kinetic energy of the moving water to power the turbines, which then generate electricity. The next type of tidal power is called a tidal barrage, and this takes advantage of the potential energy in the difference in the height between the low tides and the high tides. The final type of tidal power is called dynamic tidal power, and is a theoretical generation technology and looks to exploit the potential and kinetic energies in tidal flow. The plus side to using this type of energy is that they are not dependent on the climate, as the level of the tide will be constant and the production of this type of energy is relatively cheap. In regard to the nature of tidal energy always being constant due to the consistent pattern of the moons orbit around the earth, this form of energy production will not have to deal with problems of suddenly being able to produce to their full capacity that affects other sources of energy like fossil fuels. 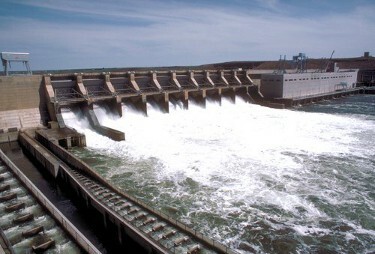 The drawbacks of this energy resource are that they do not currently produce a lot of electricity, and by creating barrages across estuaries can change the flow of the water and as a result the habitat for birds and other wildlife. If you require consultancy services or further information please click here. HGEN Capital is not a financial advisory service and we charge no initial fees.